There are no hills in Ohio! That’s right. I said it. No hills. Not in the Columbus area anyway. Yeah. Yeah. There “hills” at the Cliffs of Insanity (Highbanks Metro Park). You can find one or two at Sharon Woods or the Trails of Terror (Alum Creek Phase 2 MTB trail). If you’ve never travelled outside of Columbus, OH, you might actually think those are hills. Mountains even. If you drive to Hocking Hills, Mohican, or Great Seal you can find some sizable hills. My Ragnar team found some beauties, most of which were grossly mislabeled, between Chattanooga and Nashville, TN. Here’s the thing…I like running hills. Yup. I’m certifiable. I’d rather run up a hill than a flat surface any day. It’s no surprise I’m not a sprinter. One look at me would tell you that. But one thing I have is leg power. And I can bust up a hill! 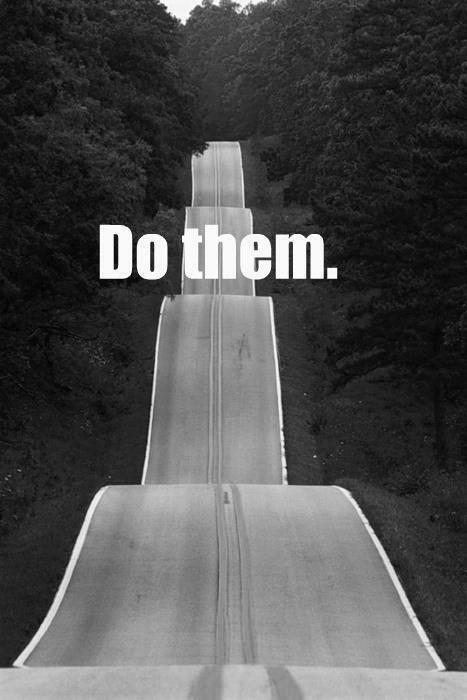 Hill repeats are speed work in disguise. They make you faster. And stronger. When the road is flat, it will be easier because you trained on hills. And when it’s hilly…you’re prepared. So I set some incline intervals, and ran. I’m going to have to tweak the plan to make it harder over time, but you can get a great hill workout on the treadmill! Why do I need hill training anyway? I have two half marathons planned in April: one in Xenia, OH and the other in Washington DC…neither of which necessitate the kind of hill training I’m proposing. I do, however, have a few friends running the Flying Pig Marathon this year, and from what I hear and know about Cincinnati, they’ll need the hill practice. I’m willing to come along for the ride. This entry was posted in Training Tools and tagged Columbus, hill workout, Hills, Running, training, treadmill. Bookmark the permalink. ← Rain rain, go away! I never thought I would love the hills like I do, but as I’m training for a 50k at Mohican, I’m tackling a lot of them lately. Flat running seems so boring now! Another great place to travel is to the Mad River Mountain area of Logan County near Bellefontaine. Corkscrew Hill is a B*TCH. Hi Amanda, that was a great post. I enjoyed your posts and most of all your passion for good health. I too have a blog, mine is more centered about running. I basically share my experience as a runner and network with likeminded people. Check it out http://zinnrunning.wordpress.com . I’m running the Flying Pig marathon, so I’m making an effort to find some hills to train on. It can be challenging in Cleveland! But I also prefer hills over long and flat, seems to break up the monotony.